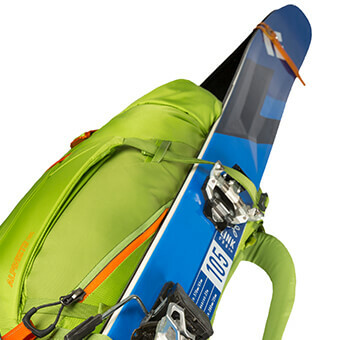 The Alpinisto 35 brings the same features as the Alpinisto 50 in a smaller, lighter format. 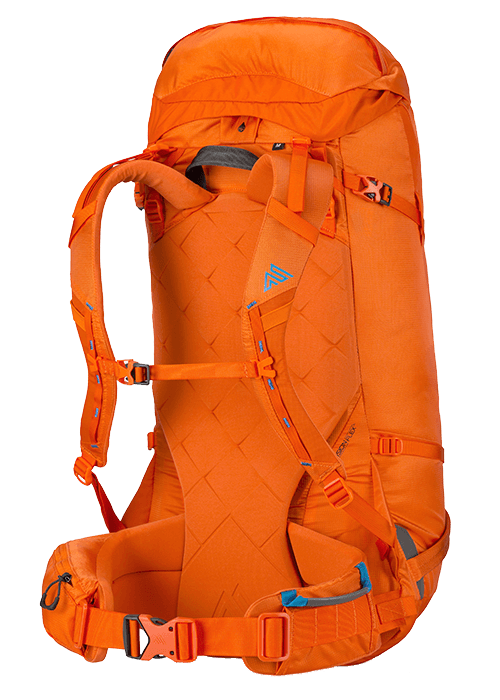 Lightweight abrasion-resistant fabrics and reinforced construction give you peace of mind while you’re beating your gear senseless. 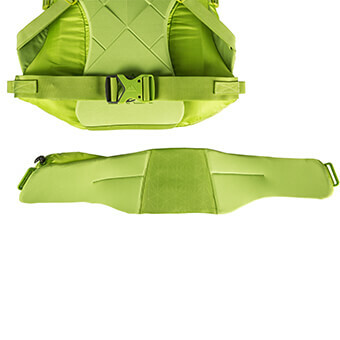 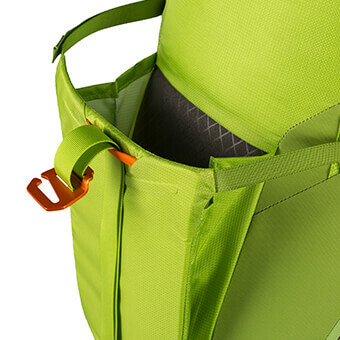 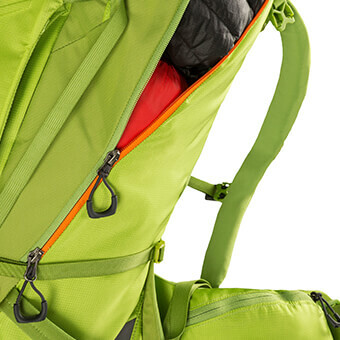 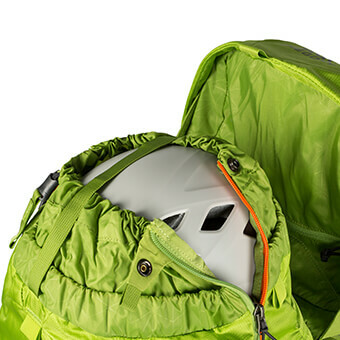 A strippable design with removable floating lid, frame, framesheet, and hipbelt makes light-and-fast ascents lighter and faster. 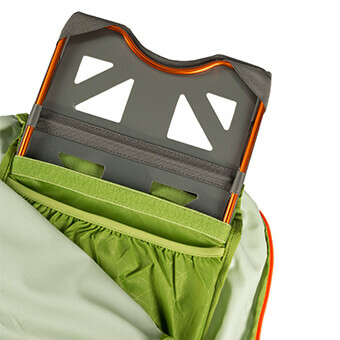 Dual hybrid ice tool attachments and an oversized crampon pocket keep bulky gear secure, and a full-length locking side zipper offers total access to the top-loading main compartment. 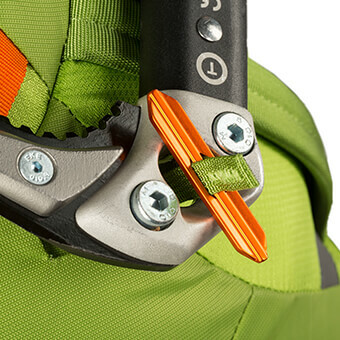 Fusion Flex is a lightweight, robust suspension system designed for harsh alpine environments. 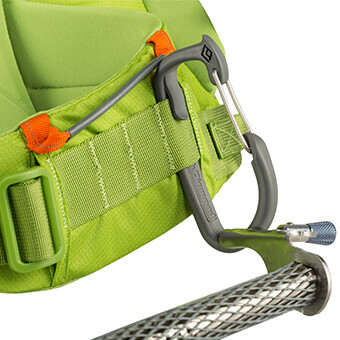 Its tubular 7001 aluminum perimeter frame and perforated HDPE frame sheet provide crucial load support and optimal torsional flexibility while the climbingspecific hip belt and harness maintain comfort for technical ascents.